No point in Marcus Stoinis buying a lotto ticket, he used up all his luck by being selected in Australia’s World Cup squad. The all-rounder certainly won’t be in the top side after averaging just 30.25 with the ODI bat in 2019, and 52.62 with the ball. Yet he’s in the 15-man squad, and Peter Handscomb missed out twice. It was a toss-up between Handscomb, averaging 43.54, and Alex Carey 28.75 for the wicketkeeper’s job, but Carey won that nod too. How on Earth could the selectors dump Handscomb? And how could they pick paceman Nathan Coulter-Nile over Josh Hazlewood for the Cup, yet pick the latter in the Australia A squad? Despite those two glaring omissions, the squad is well-placed to defend the crown they won so handsomely four years ago. The return of Steve Smith and David Warner from their 12-month suspensions is a double bonus. The next question is who will open with skipper Aaron Finch, who has already locked himself in as one of them – Warner or Usman Khawaja? Sure Khawaja has been successful with Finch, with opening stands of 209, 193, and 134, but a run a ball won’t cut the mustard. 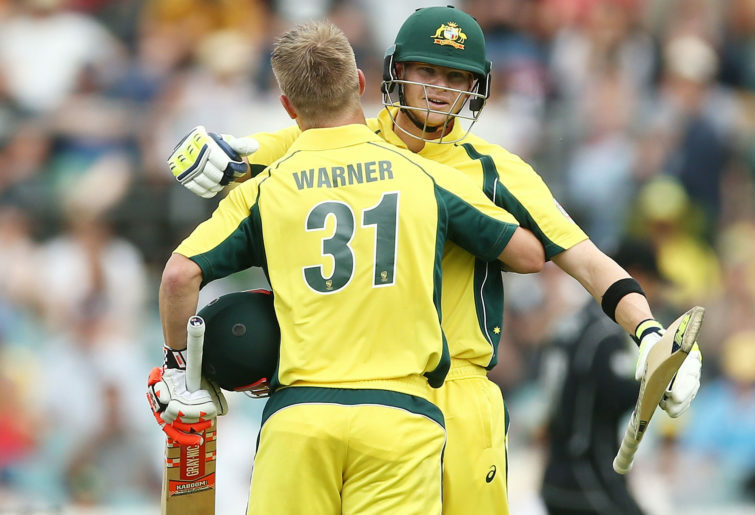 This is where cold, hard stats provide the definitive answer – Warner. His strike rate is best of the three, so he’s the opener, Khawaja bats three, Smith four, and Glenn Maxwell five – no longer must one of the world’s most explosive batsmen languish at seven. The sixth spot in the order will be for Shaun Marsh, followed by Carey, Pat Cummins, Mitchell Starc, Jhye Richardson and Adam Zampa. Apart from Carey, that’s impressive. But the selectors didn’t have a good day overall, dumping Mitchell Marsh from the top 20 Cricket Australia contracts, yet picked him in both the Australia A one-day and four-day squads that will play in England during the World Cup, leading into the Ashes. Others dumped from the top money include Kurtis Patterson, averaging 144 in Tests and 40.22 in the Sheffield Shield, Joe Burns, and Marnus Labuschagne. Smith and Warner are back in business, while Marcus Harris, Zampa and the return of James Pattinson from long-term injury have been promoted. So too is Coulter-Nile, who like Stoinis needn’t bother buying a lotto ticket.